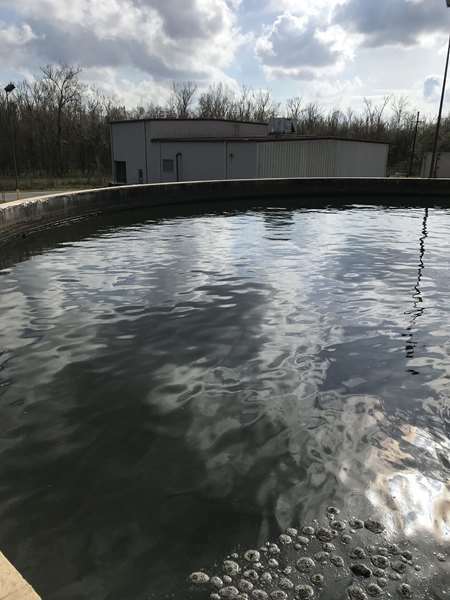 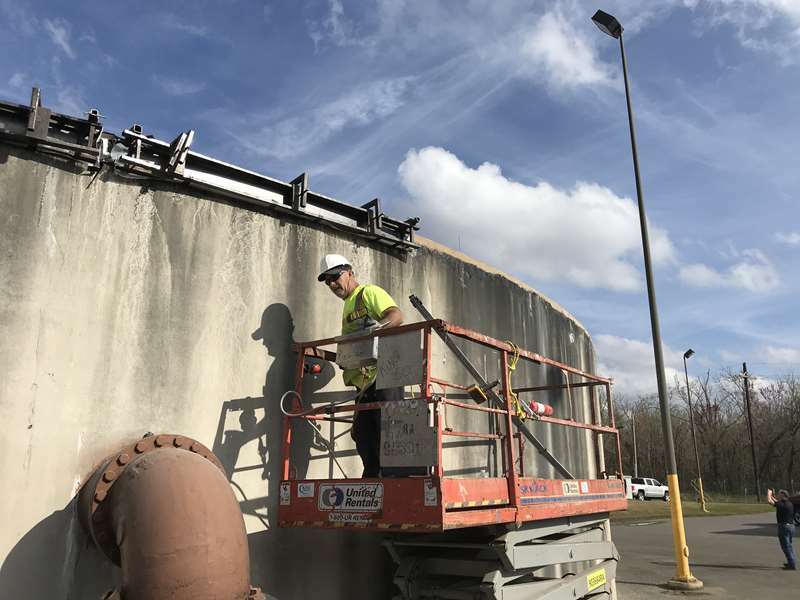 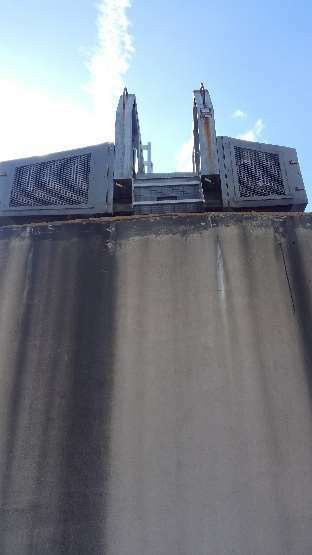 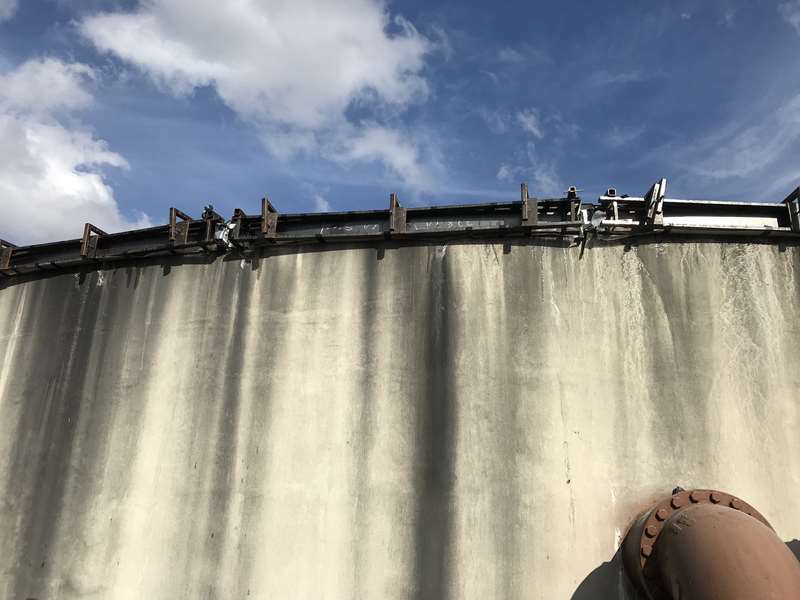 The steel plating on this clarifier tank rim, which serves as a track for the tank’s scraping bridge wheels, had been in service for 15 years. 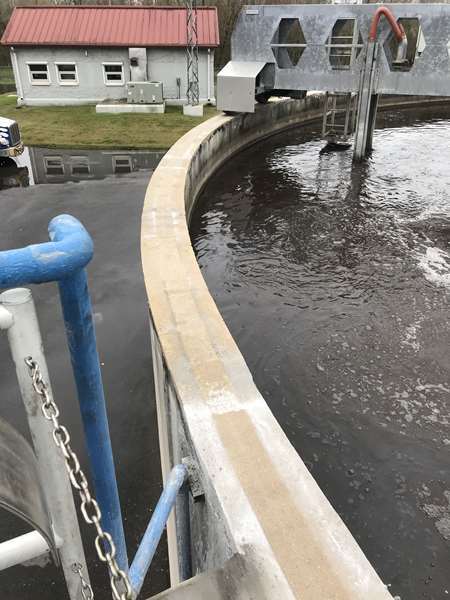 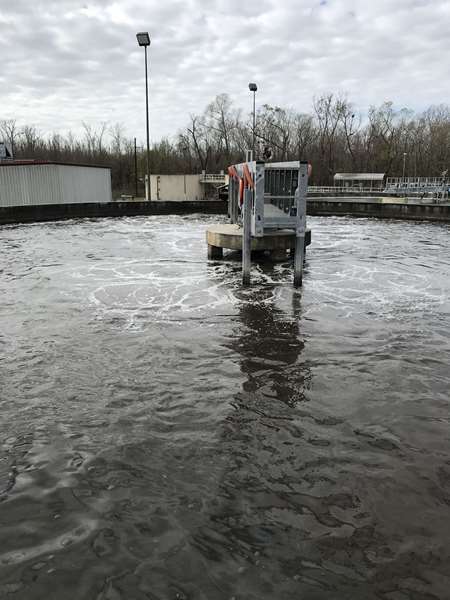 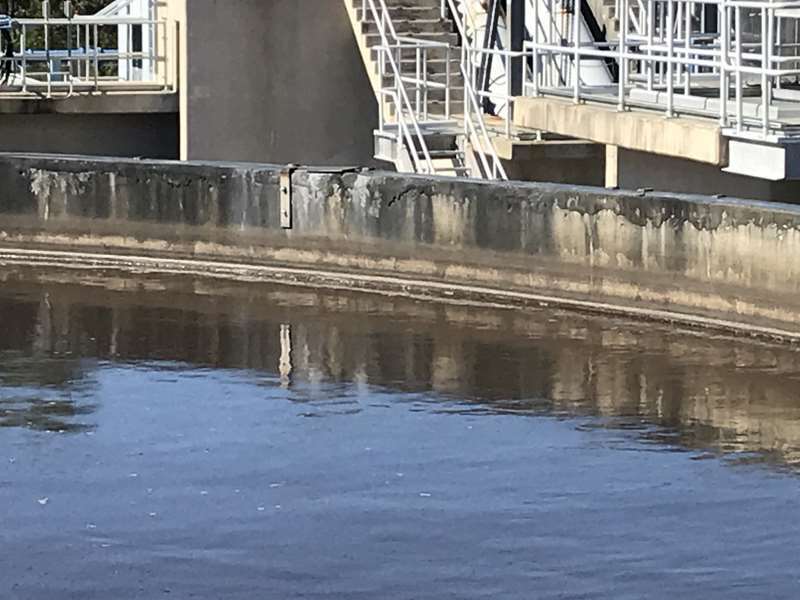 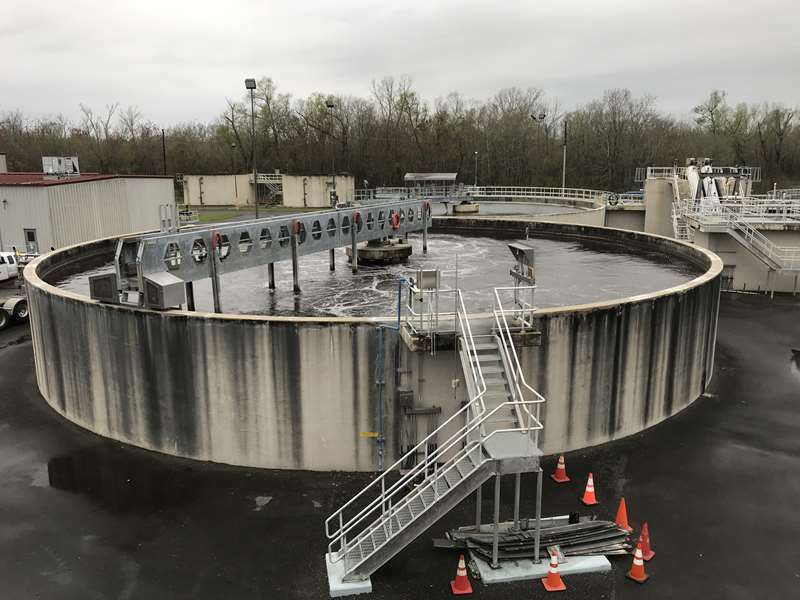 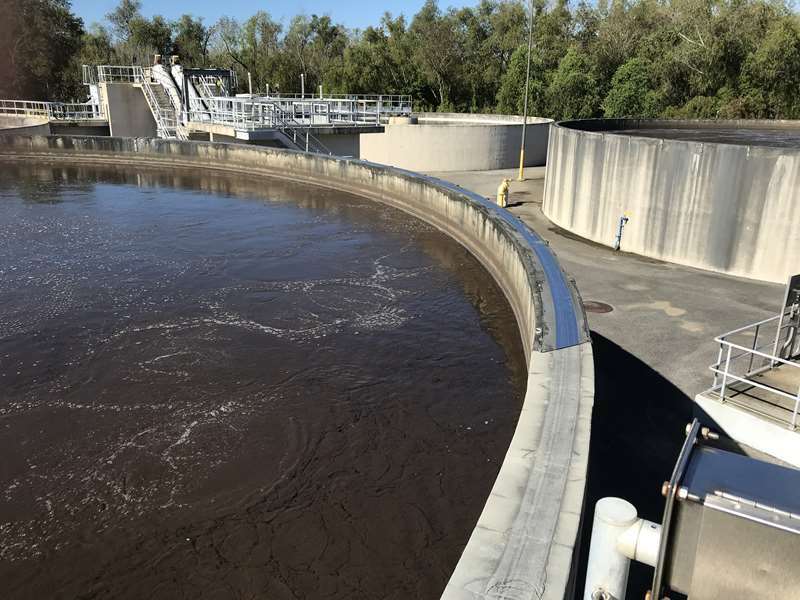 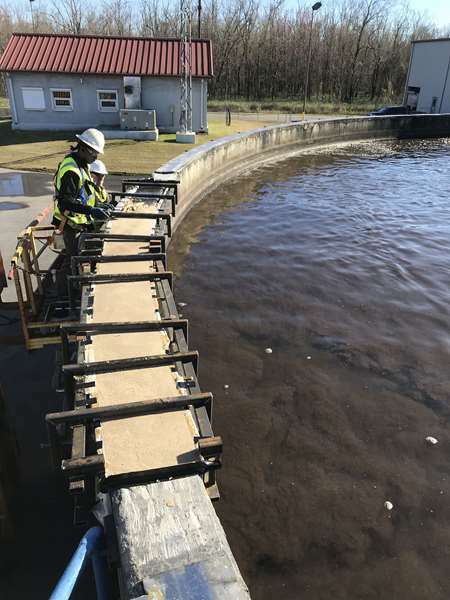 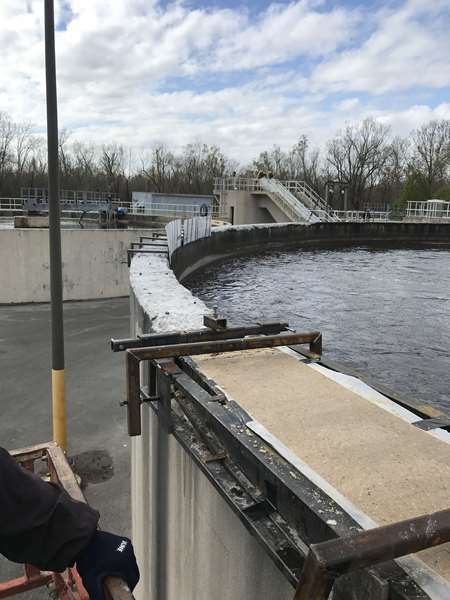 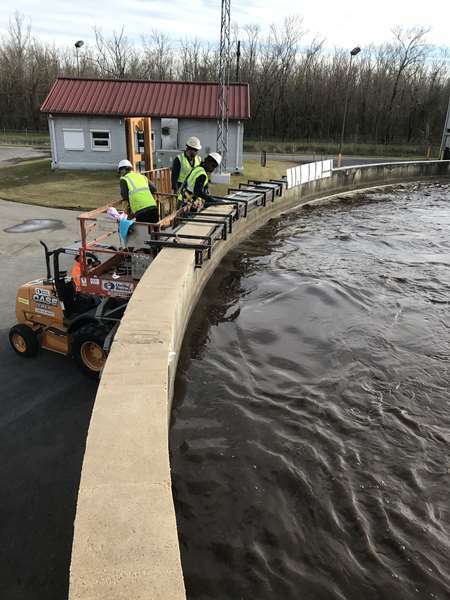 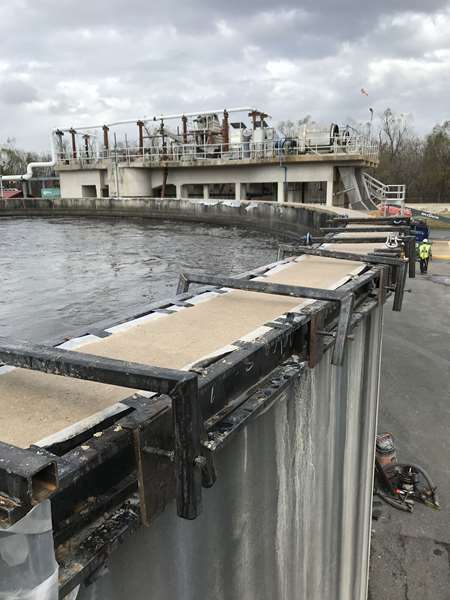 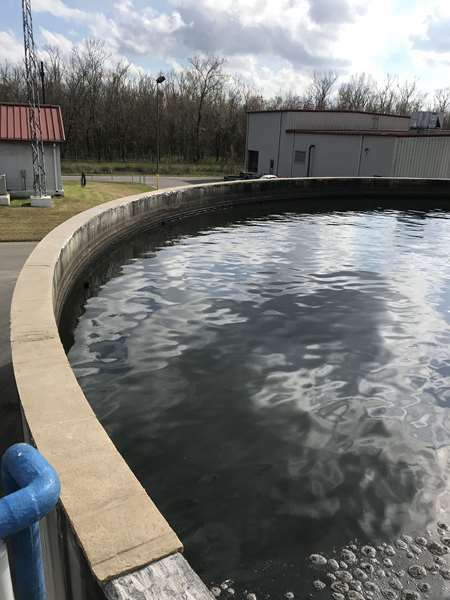 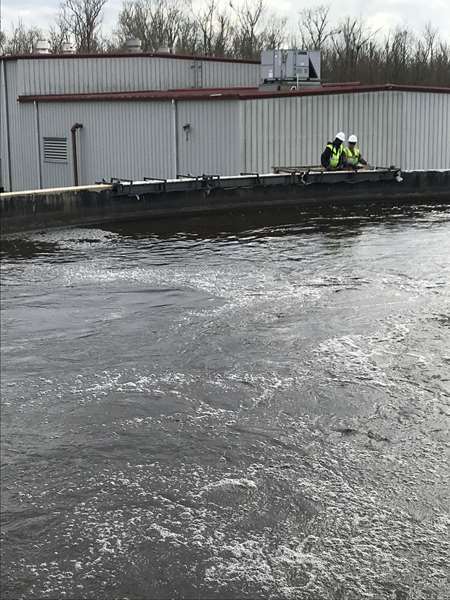 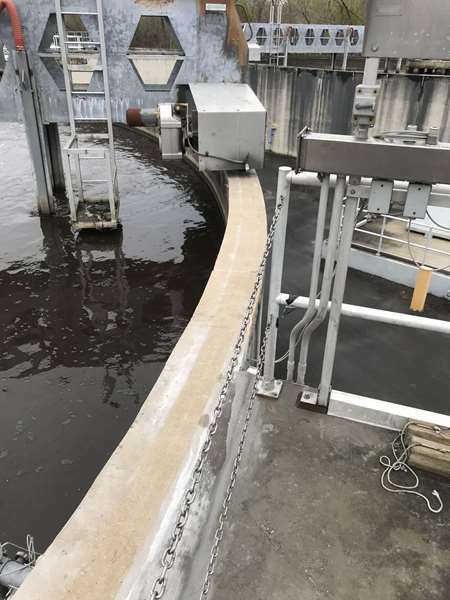 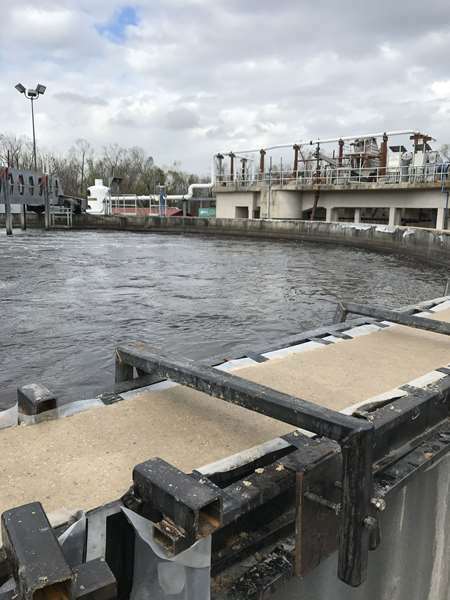 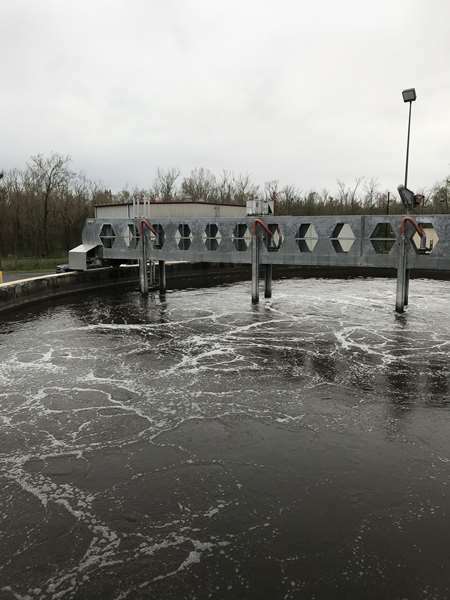 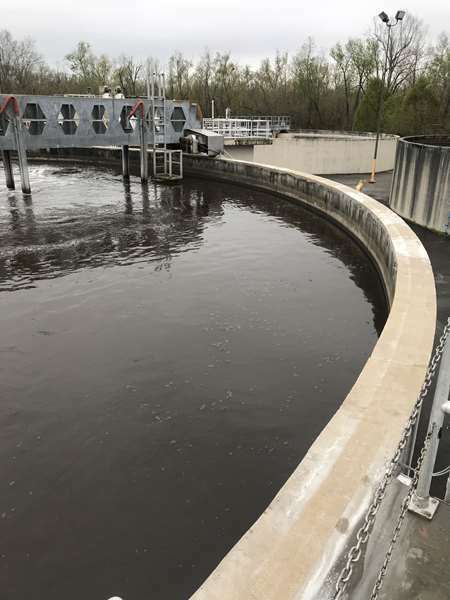 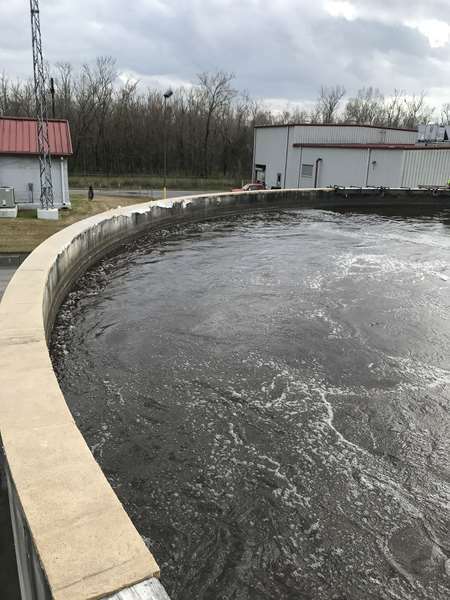 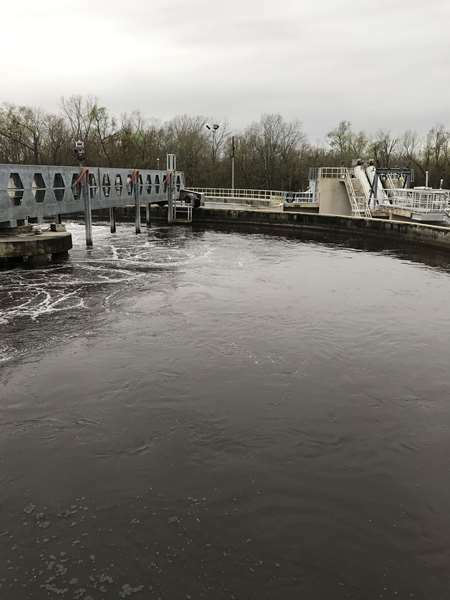 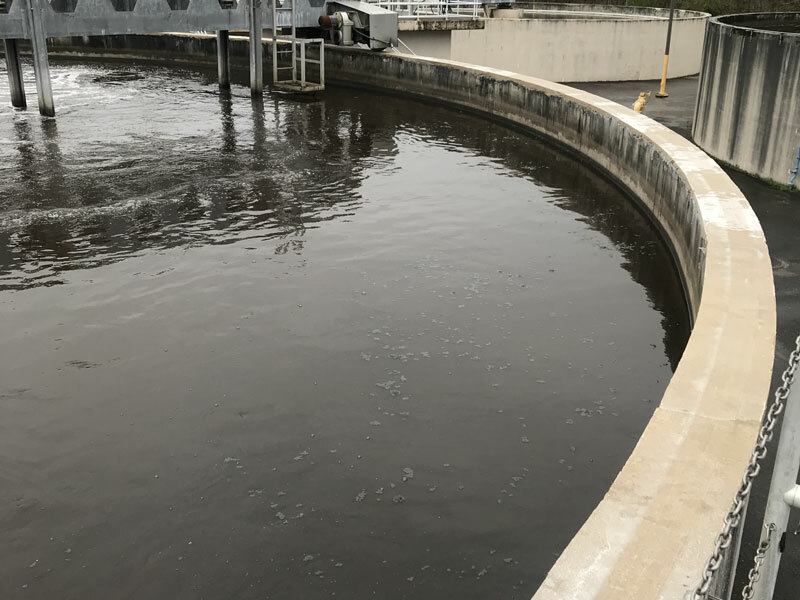 Located at a Southern Louisiana wastewater treatment facility, the bridge makes approximately one full rotation every minute. 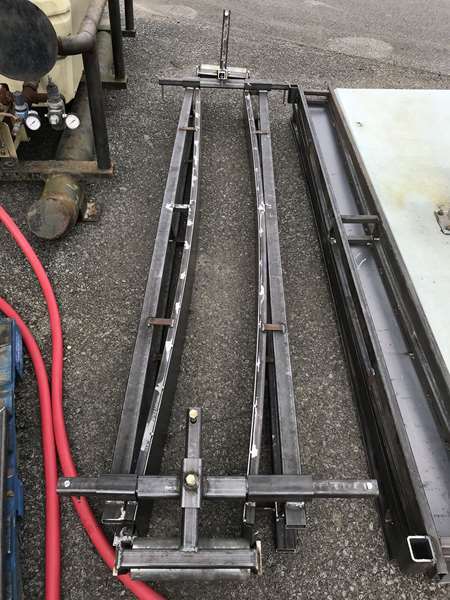 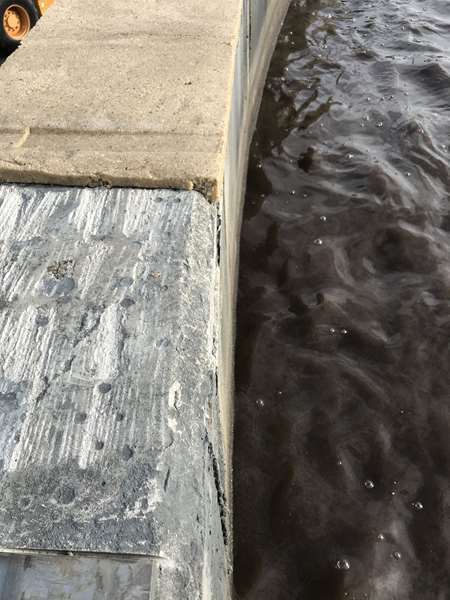 The plating weld seams began breaking causing the concrete underneath it to also break. 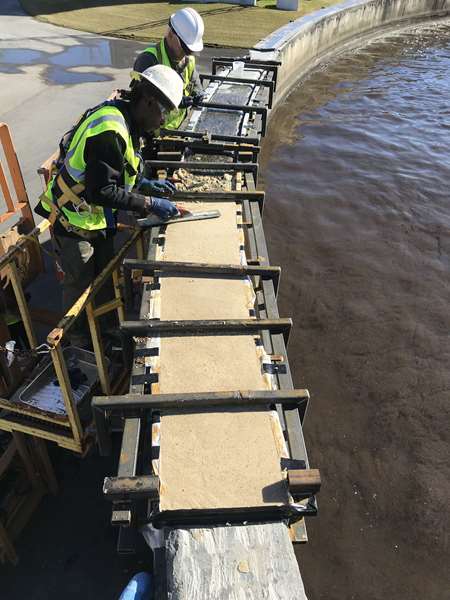 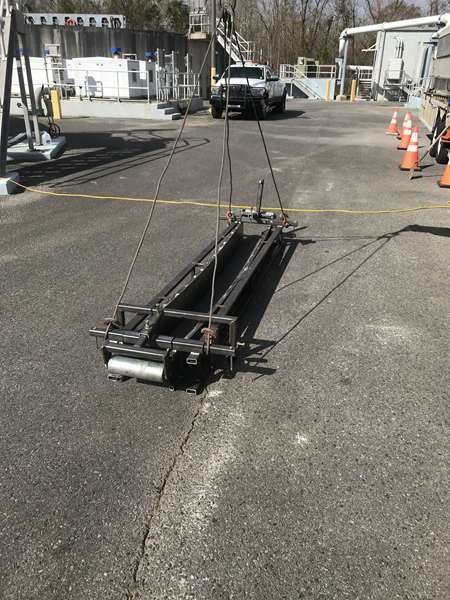 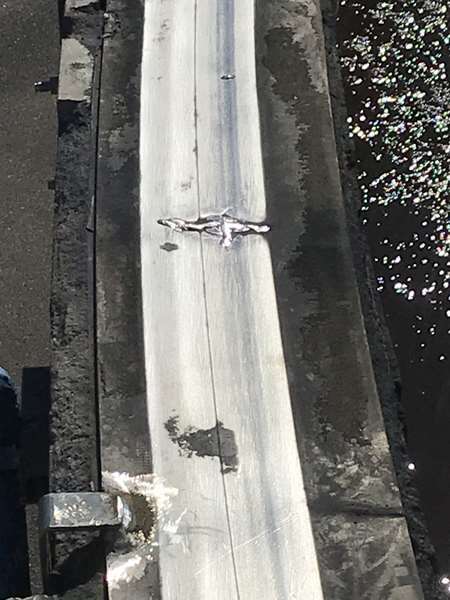 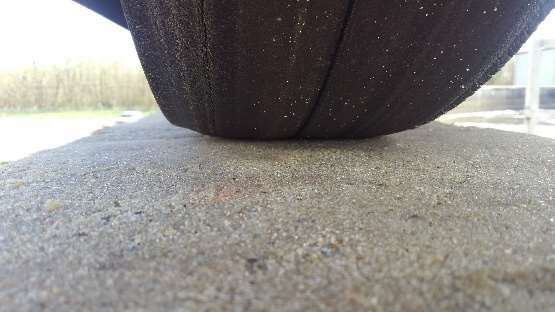 The bridge wheels were being damaged as a result of the broken concrete. 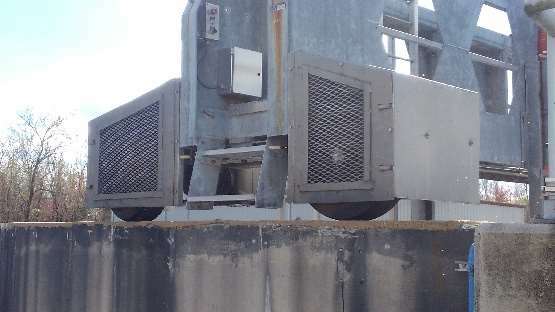 The local ENECON Field Engineering Specialist was asked to provide a cost effective solution. 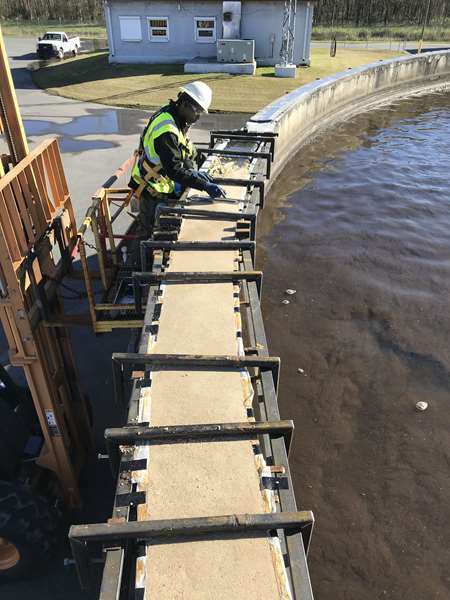 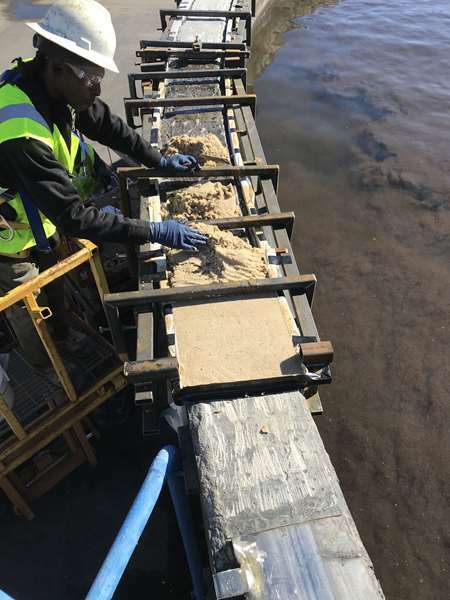 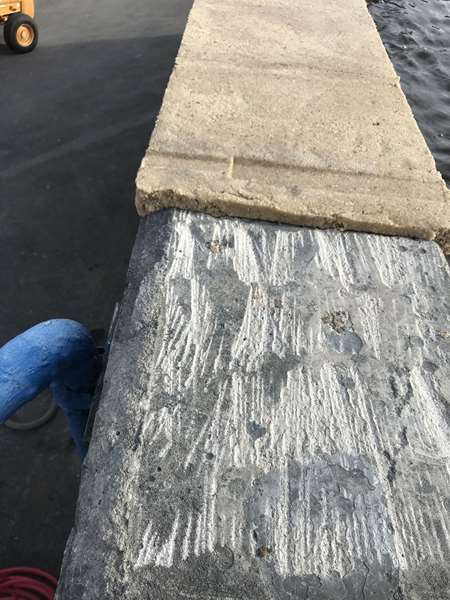 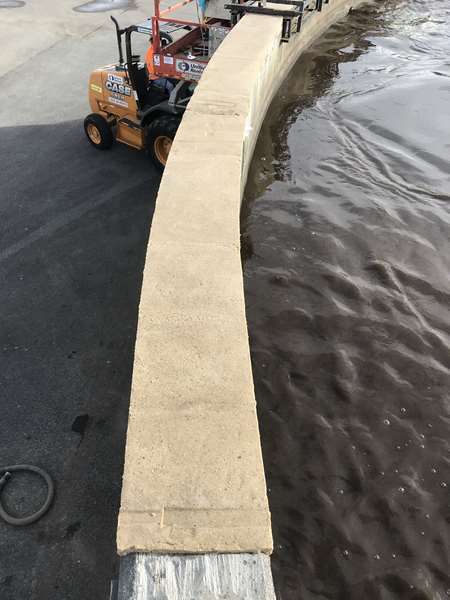 The plating was detached and any lose or crumbling concrete was removed using an air chisel hammer. 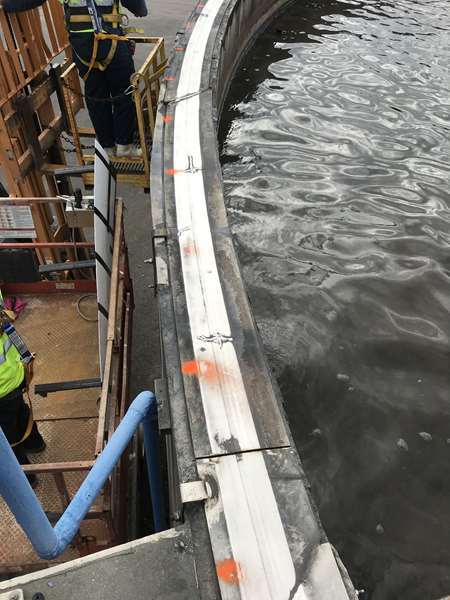 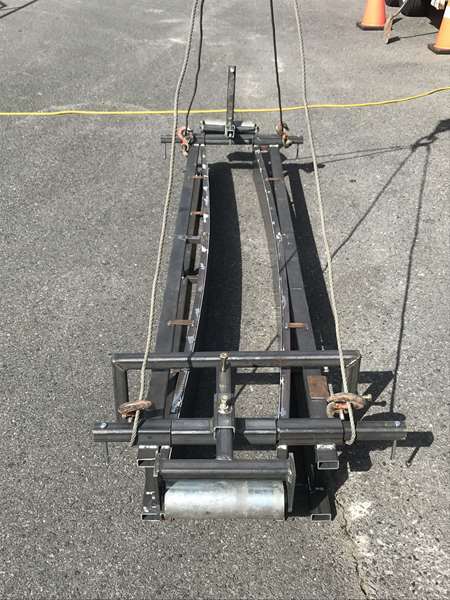 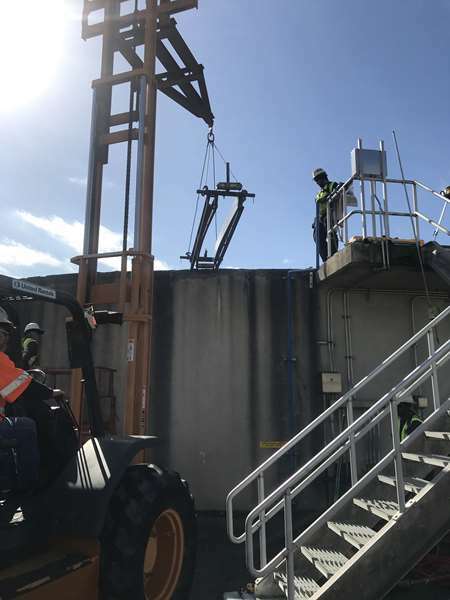 A former was constructed and clamped to the tank rim to prevent concrete from falling into the tank. 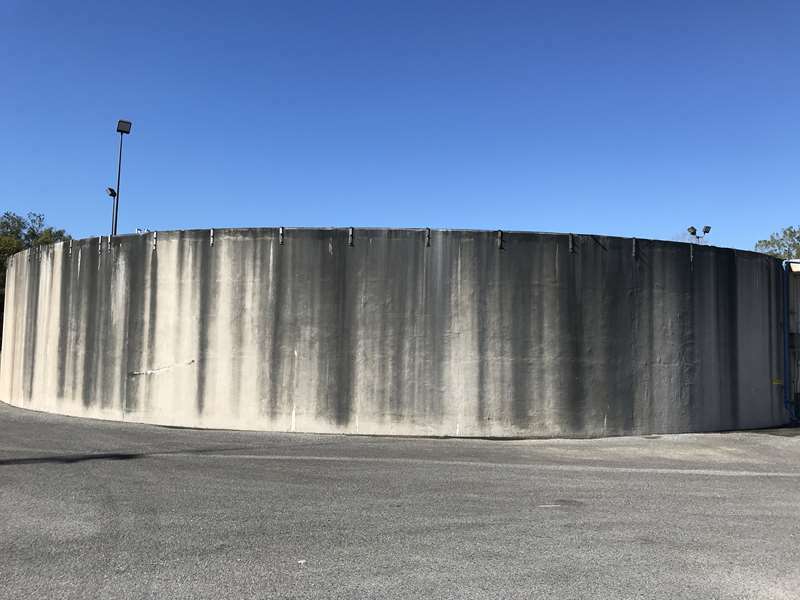 DuraFill was mixed with a locally sourced silica quartz sand and applied to the tank’s rim. 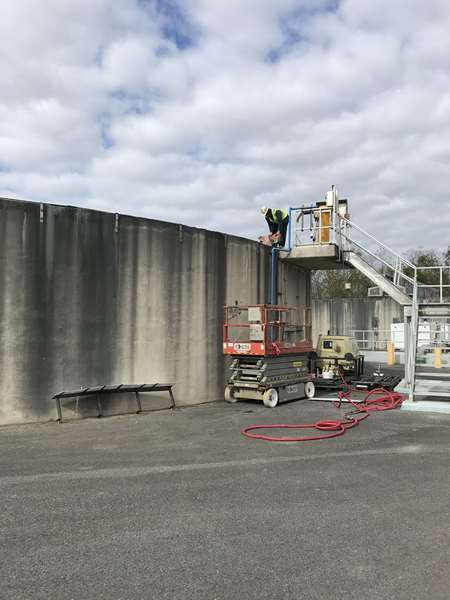 The former also allowed the applicators to keep the DuraFill level during application. 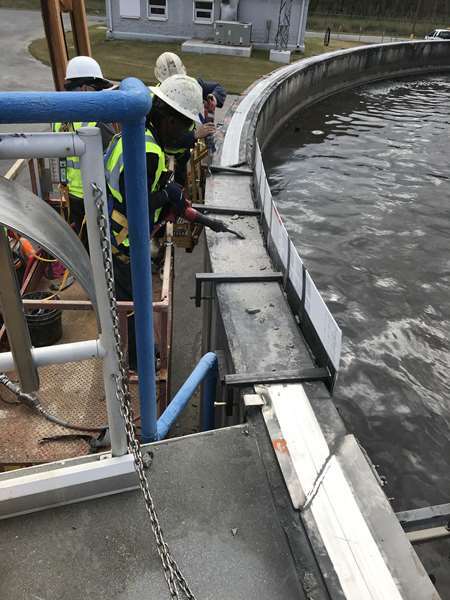 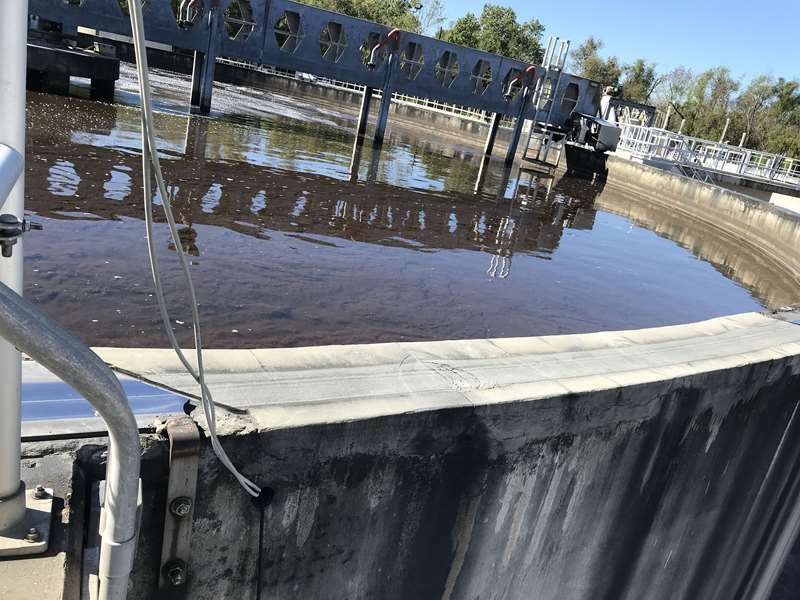 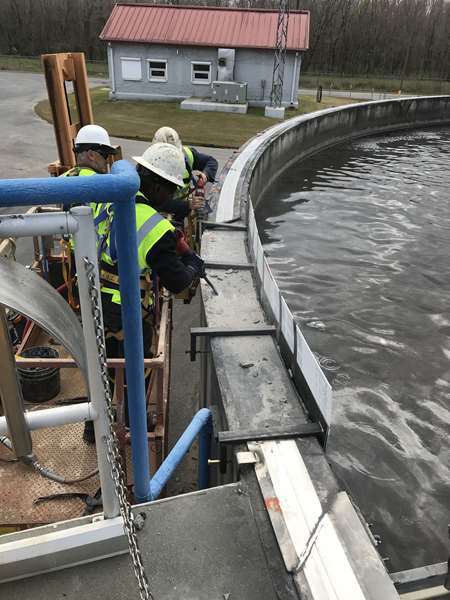 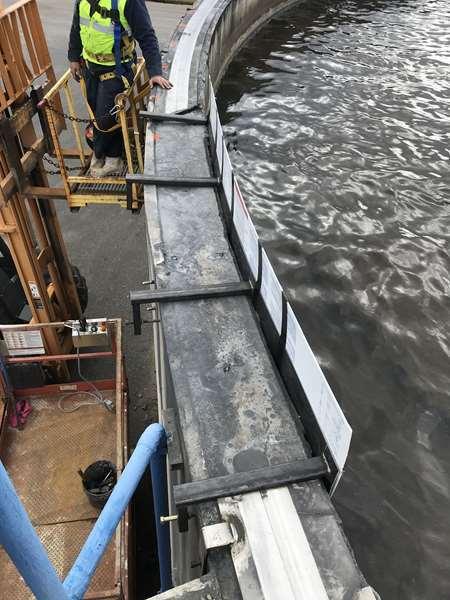 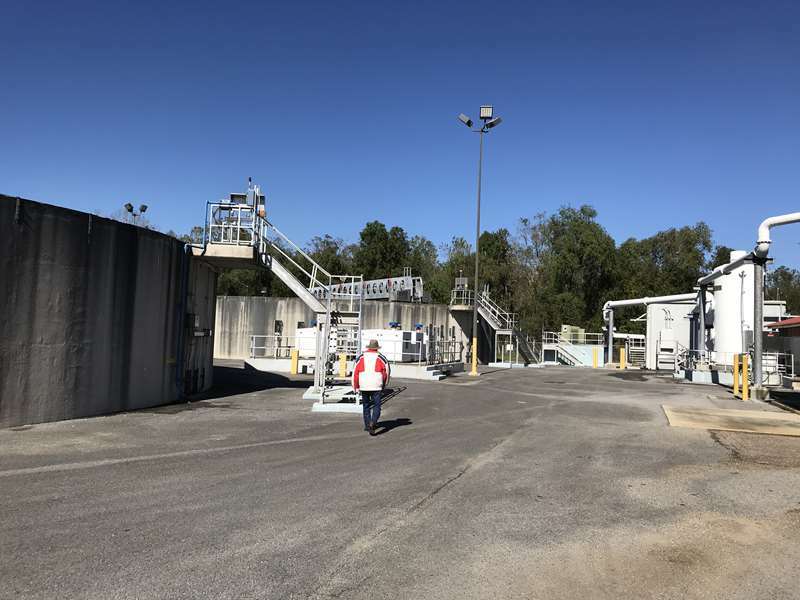 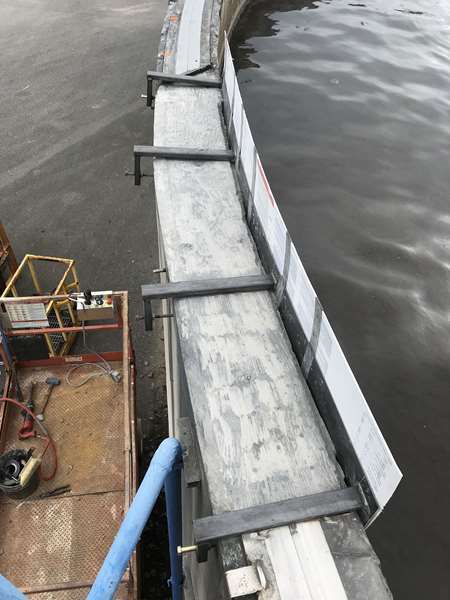 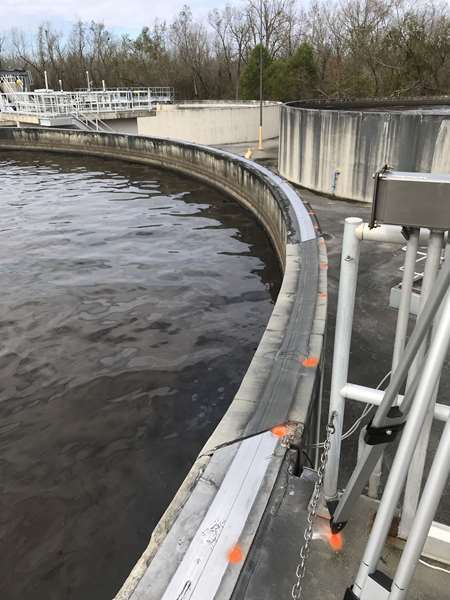 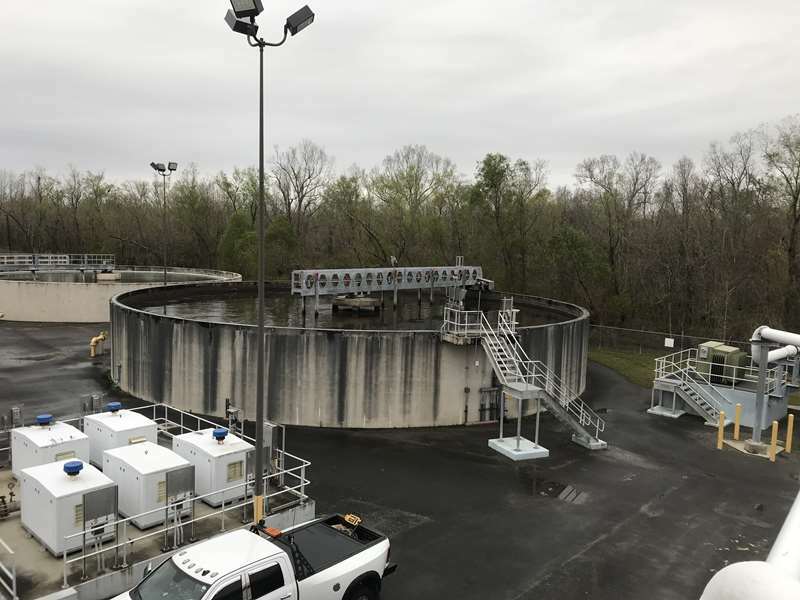 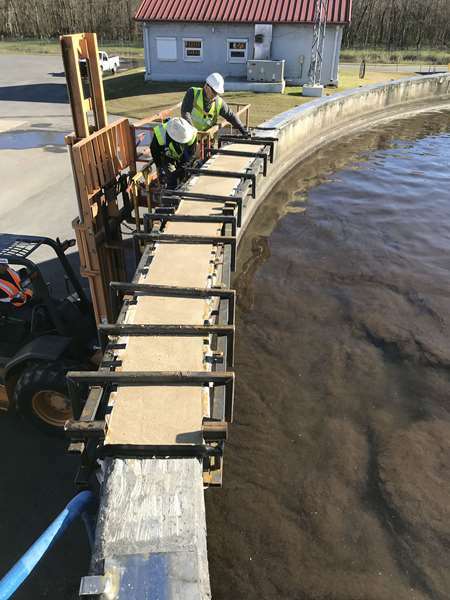 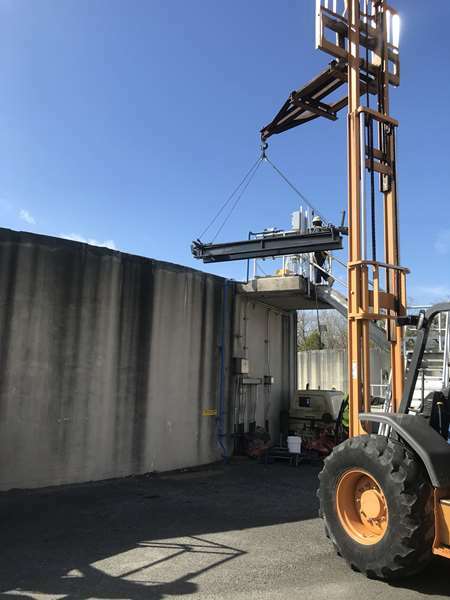 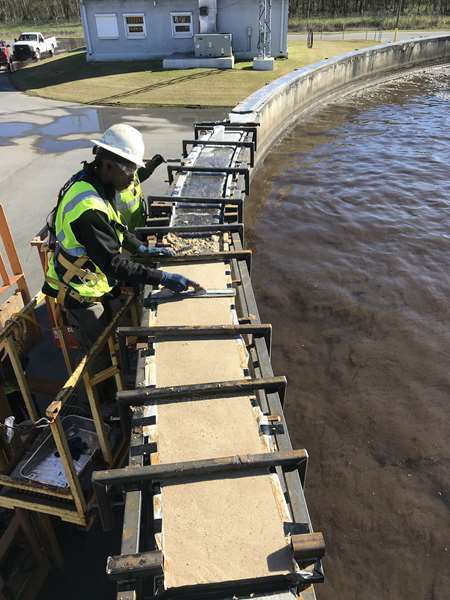 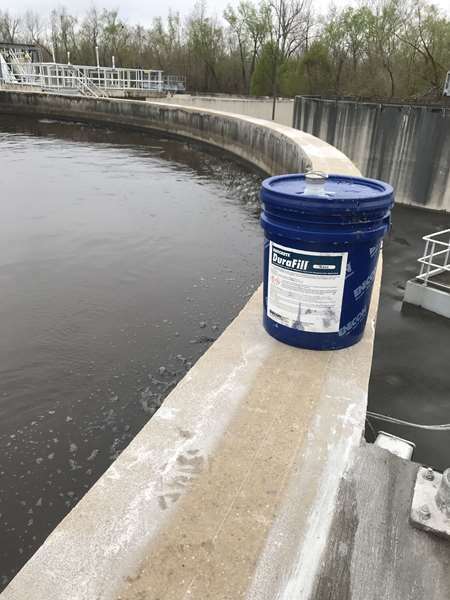 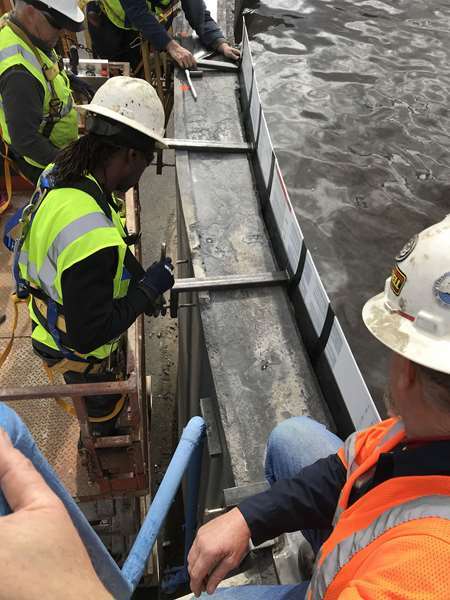 The entire project only used 5 units of DuraFill, but it saved the maintenance team at the plant tens-of-thousands of dollars.